Here am with the second product from Ilana Organics brand. I have already reviewed their Mint & Green Tea Bath Soap which I loved. If you love refreshing, green scents, you should check out the review. Also given a short introduction about the brand and the products they have for oily, acne-prone skin. You can check the above links for the content. 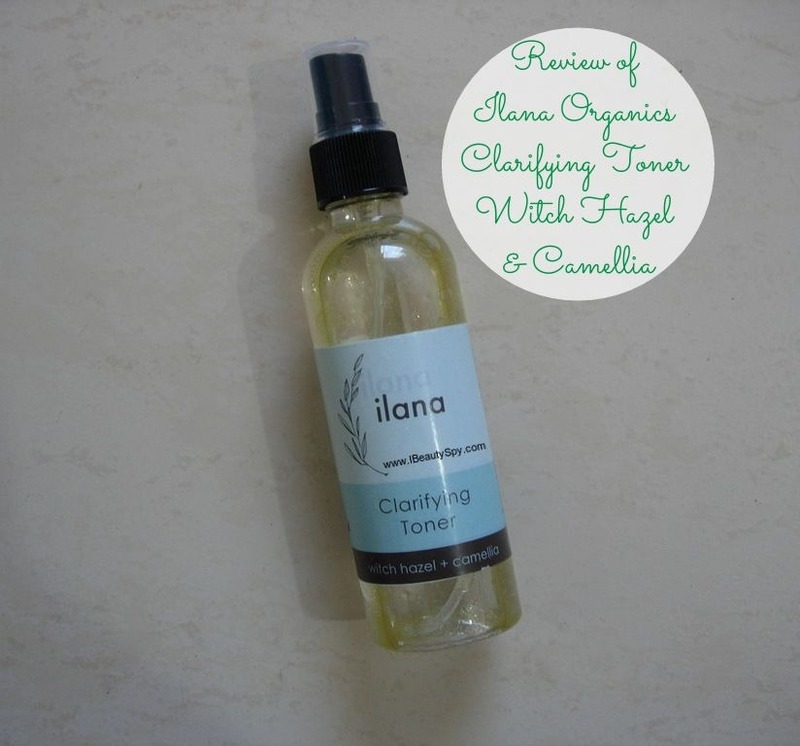 So today am going to review Ilana Organics Clarifying Toner Witch Hazel & Camellia. Let’s see whether the product lived up to the expectations. Packed with all the essential nutrients, this clarifying toner helps clear acne overtime. Specially handcrafted for sensitive, acne-prone skin to nourish, clarify and hydrate. Leaves your skin dewy and gets rid of any makeup residue. Ilana Organics Clarifying Toner Witch Hazel & Camellia comes in a very elegant, minimal and classy packaging. I like the graphics and the label designs of all their products. Its something that the urban, modern, young generation will love to have in their vanity. There is an outer carton and the toner is housed inside in a spray bottle packaging. 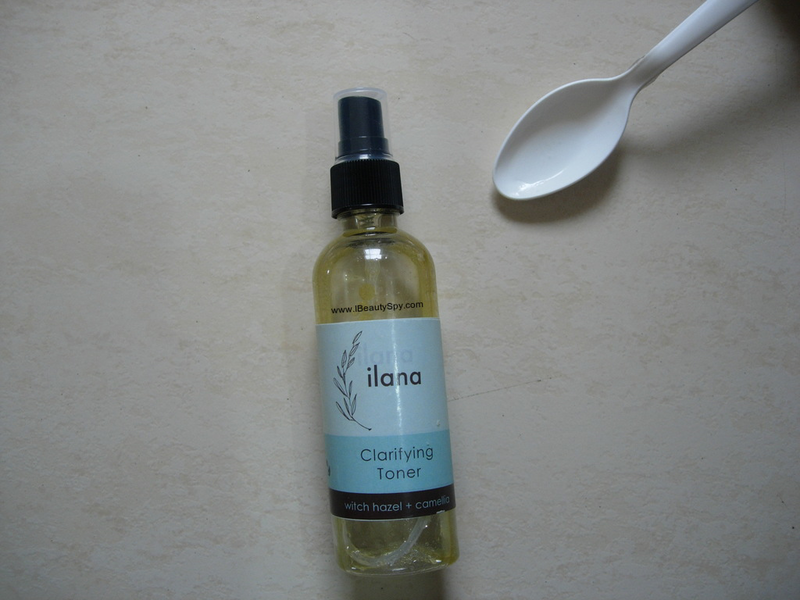 Ilana Organics Clarifying Toner Witch Hazel & Camellia looks slight yellow color in the bottle. 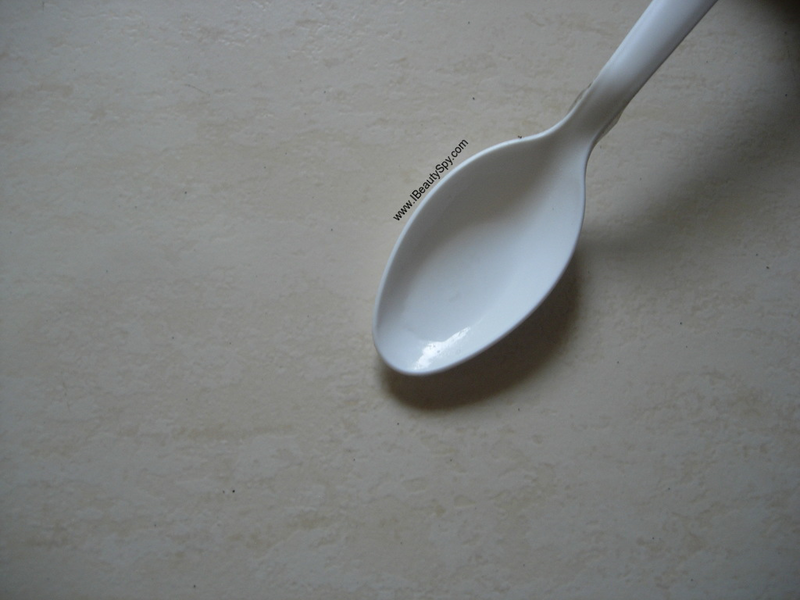 However, when you spray it into your hands, it will look colorless only as its a small quantity. The yellow color I am presuming is due to presence of essential oils. It has a faint scent of tea tree. The fragrance is not strong and won’t bother you. Ilana Organics Clarifying Toner Witch Hazel & Camellia can be sprayed on a cotton swab and applied like a toner or sprayed directly on face like a mist. Since it was mentioned as a clarifying toner, I expected it to be oil-absorbing and give a matte effect. 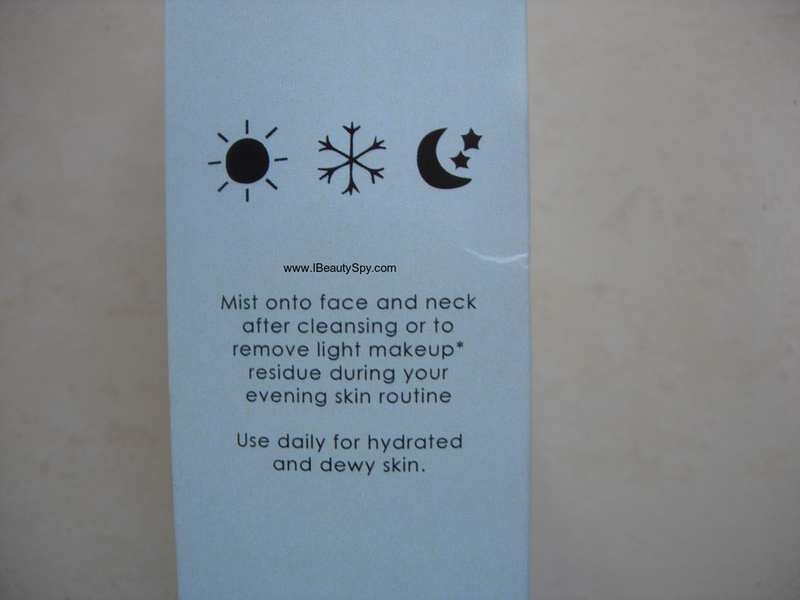 But it is actually hydrating on the skin and gives a dewy look. When am at home, I usually apply only this and skip moisturizer too as I don’t feel the need for it. So I think this would be more suited for combination-normal skin. 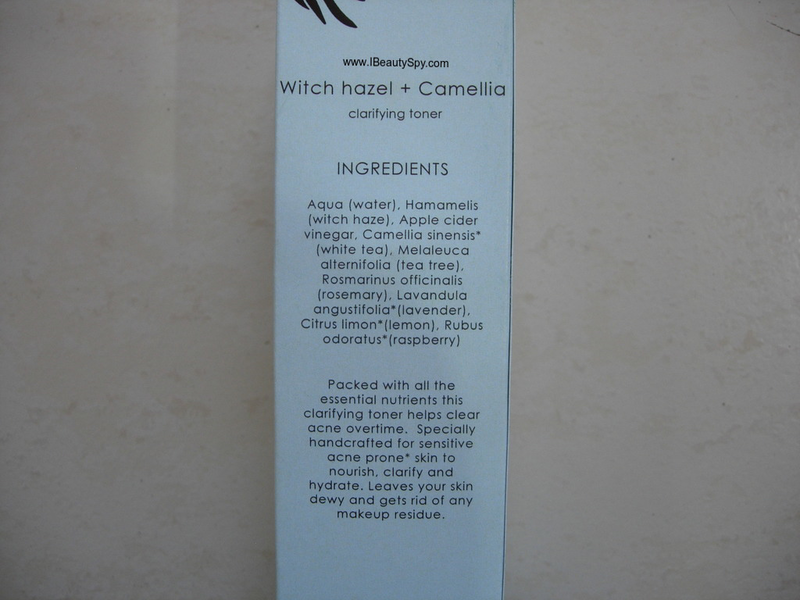 Ilana Organics Clarifying Toner Witch Hazel & Camellia helps to remove any dirt or makeup residue left over from washing. It contains an impressive and unique set of ingredients like white tea, tea tree, rosemary, lavender and raspberry. I have seen toners having green tea, but this is the first time am seeing a skincare product with white tea in it. The product helps a little in subduing small zits but won’t work on mature pimples. It also helped in clearing up my acne scars when coupled along with the scrub and serum. Overall, I have mixed feelings about this toner. While this wasn’t bad in anyway, it is not something I would repurchase. I guess it could be because I prefer my toners to be more oil-controlling and mattifying. While this was a bit mild and more on the hydrating side. Those who prefer nourishing toners will like it. And I know there are many of you who like their toners to be nourishing and hydrating 🙂 . 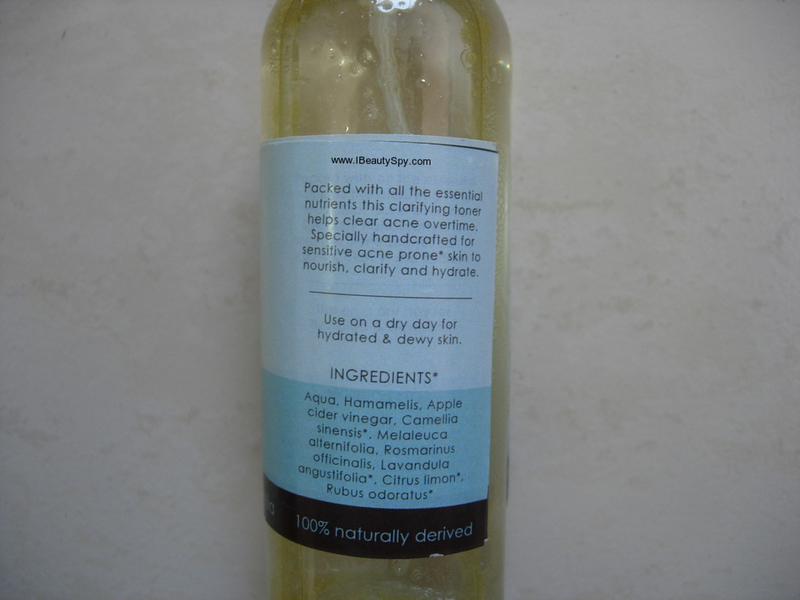 * Impressive organic ingredients list of white tea, tea tree, rosemary, lavender and raspberry. * Hydrates and nourishes skin. * Gives a dewy look. * Clears up acne scars when used along with scrub and serum. * Elegant, minimalistic and classy packaging. * Not sure how it is preserved since it contains water. Yes, if you are looking for a nourishing toner. No, as I prefer oil-controlling, mattifying toners more. I feel its on the higher side. Ilana Organics Clarifying Toner Witch Hazel & Camellia works as per the claims – nourishing skin and giving a dewy look. Those who prefer such toners can go for it. But if you need something oil-controlling or mattifying, then this is not for you. The quality of the product was good though and felt pure and organic. Also, if you are looking for a clarifying skincare routine, you can use it along with the scrub and serum for better results. So that’s it for today folks! See you soon in a new post! Take care, bye! Why haven’t they mentioned how is it preserved?? Nice review dear.. thanks for sharing it.. I like witch hazel as an ingredient. Nicely reviewed.